Virginia was the daughter of Dr. Philip O’Hanlon, a coroner’s assistant on the Upper West Side of Manhattan. In answer to her question “is there really a Santa Claus” her father suggested she write to a New York City newspaper called The Sun. Virginia’s letter found its way to one of the paper’s editors named Francis P. Church who wrote the now famous response. His answer to Virgina remains today as the most reprinted editorial ever to run in any English language newspaper. Your little friends are wrong. They have been affected by the skepticism of a skeptical age. They do not believe except they see. They think that nothing can be which is not comprehensible by their little minds. All minds,Virginia, whether they be men’s or children’s, are little. In this great universe of ours, man is a mere insect, an ant, in his intellect as compared with the boundless world about him, as measured by the intelligence capable of grasping the whole of truth and knowledge. You tear apart the baby’s rattle and see what makes the noise inside, but there is a veil covering the unseen world which not the strongest man, nor even the united strength of all the strongest men that ever lived could tear apart. Only faith, poetry, love, romance, can push aside that curtain and view and picture the supernal beauty and glory beyond. Is it all real? Ah,Virginia, in all this world there is nothing else real and abiding. No Santa Claus! Thank God! he lives and lives forever. A thousand years from now,Virginia, nay 10 times 10,000 years from now, he will continue to make glad the heart of childhood. Many have questioned if Virigina’s original letter actually ever existed thinking it was only fiction created by Francis Church as a basis for his editorial. 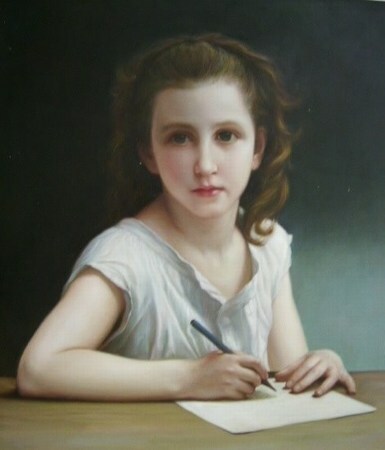 However, the original letter written by Virginia O’Hanlon was authenticated in 1998 by an appraiser on the Antiques Roadshow and valued at $20,000–$30,000. I’m grateful for the swell in my chest the little boy inside finds in reading Church’s reply to Virginia over a hundred years ago. 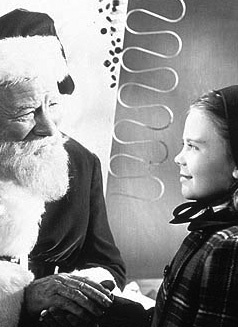 The spirit of Santa Claus will always be with me. This entry was posted in Knowledge, Learning from kids, Life and tagged childhood, growing-up, inspiration. Bookmark the permalink.